This is a continuation of the journey from Colouring-over 01 BASICS. Here you can see how to successfully approach the learning of painting techniques and create a satisfying result too, simply by colouring-over an inkjet printout on copy paper (absorbent paper). 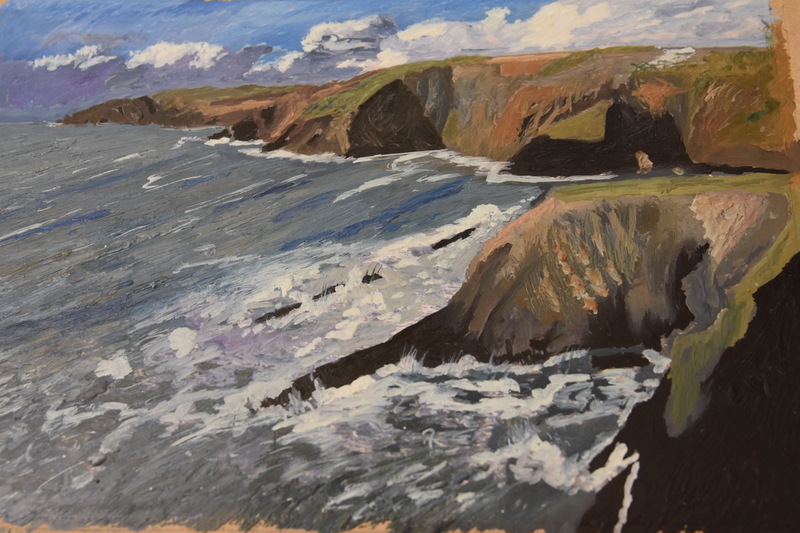 Some nice shots of the wild pembrokeshire coast at Ceibwr too ….